Jessica Weaver, CFP®, CDFA™, CFS® is a Wealth Advisor with Foran Financial Group and Raymond James Financial Services and focuses her work on women like you. 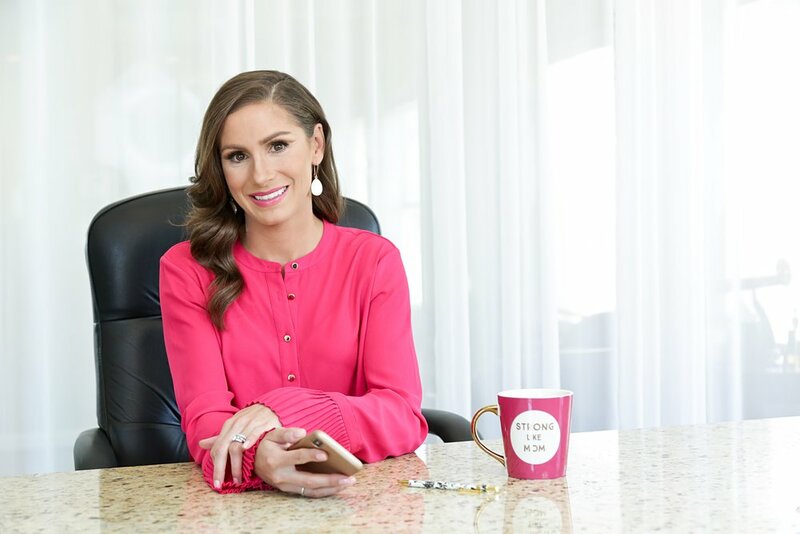 Jess found herself on a mission to help more women gain control, clarity, and confidence over their finances and the next chapter of their life. Her focus is on women nearing retirement or in retirement to help guide them through their money concerns, questions, and emotions. Most of the women Jess works with have done a good job saving money, but are missing the link to creating a retirement income from it. “In retirement, every dollar needs to have its purpose and to maximize every opportunity out there.” –Jessica Weaver. After witnessing both of her grandmothers struggle with retirement, running out of money, and dealing with the aftermath of their estates, Jess knew she had to take a stance. She began running workshops and events to help women gain control over their money before it is too late. In 2018, Jess founded the Strong Retirement Club to fix the increasing issue most women in retirement face…their lack of trust. She wants every women who comes into her world to gain the trust in themselves to live their fullest life without any regrets. As a BONUS for being here, grab your FREE Strong Retirement Workbook NOW! Jess has been on this mission since 2015 when she started hosting events for women, building a community to help, guide, and encourage women, which led to the start of her blog: Not Your Father’s Advisor. After Jess saw the increasing views to her popular blog, she knew there was a bigger need to make a topic like money more approachable to women. In 2017, Jess decided to write her #1 Best Selling book: Strong Woman Stronger Assets, while being pregnant with her first daughter. Through her online presence, blog, her book, and her Strong Retirement Club, she is able to touch more lives than she ever thought possible and help them elevate their life to the next level. She is incredibly grateful for the opportunity to be a part of your life and to help with your own transformation. Book YOUR call now, I can’t wait to talk with you! To read Jess’s blog and find out about her book, go to www.JessicaWeaver.com. Stay tuned for Jess’s next book on retirement and money in 2019!